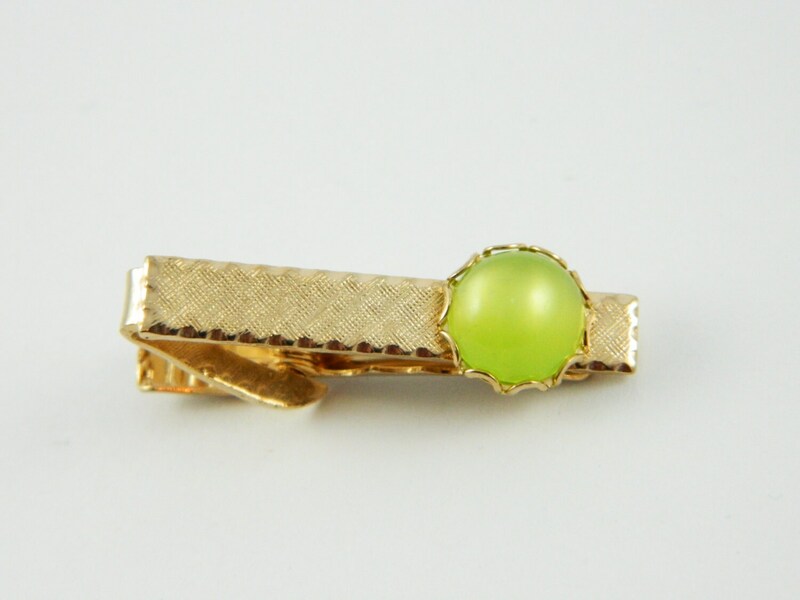 Gold Tiny Lime Moonstone Tie Clip. 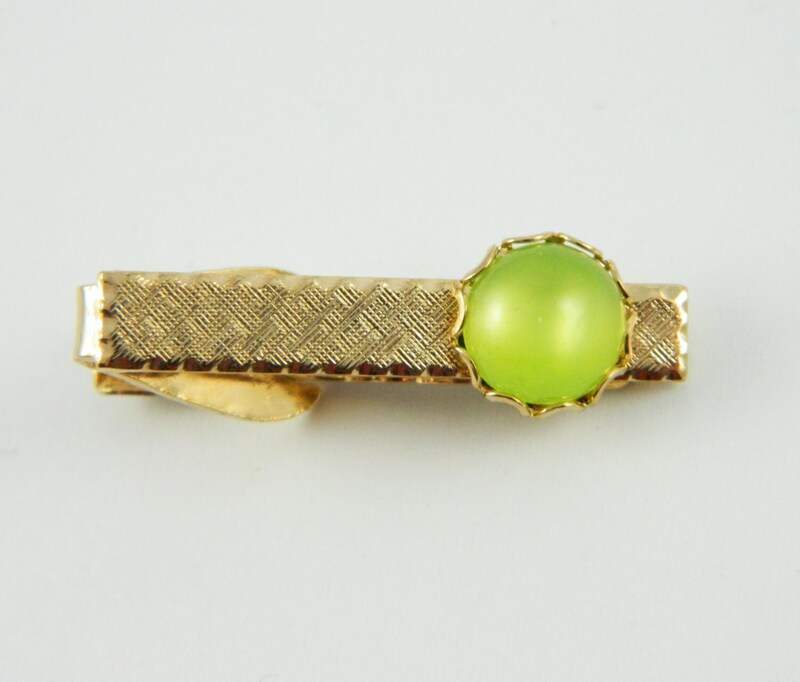 Tiny Gold and Lime Tie Clip. Translucent Moonstone cabochon in laced edge setting.